TUESDAY, Sept. 11, 2018 (HealthDay News) — As if the start of a new school year isn’t stressful enough, many teens may find their acne worsens when classes start, a skin doctor says. During summer vacation, teens’ acne often eases because they have less stress and more sun exposure, but it could flare up now that they’re back in school, explained Dr. David Shupp. He’s a dermatologist at Penn State Health Medical Group. “A teen often feels alone in suffering from embarrassing pimples,” Shupp said in a Penn State news release. For teens with mild acne, the first step is to try over-the-counter creams, gels or lotions applied directly to affected areas. Teens with other skin conditions — such as eczema or psoriasis — should consult their doctor before using over-the-counter acne medications, Shupp advised. “If over-the-counter medications don’t provide enough relief from acne, it’s time to discuss prescription medications with a dermatologist or family physician,” Shupp suggested. 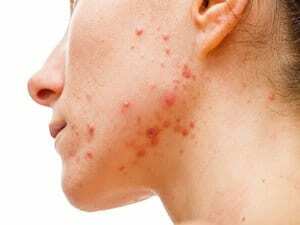 Don’t use acne medications prescribed for someone else, Shupp said. Keep hands and hair away from the face to reduce the transfer of oil. Don’t squeeze pimples. This can cause permanent scarring.